The annual LPGA Kia Classic tournament returns to the Park Hyatt Aviara Resort in Carlsbad, California, this week (March 24-27, 2016), offering fans of all ages an up-close and personal experience with 144 of the top players in the world as they vie for a share of the $1.7 million purse. 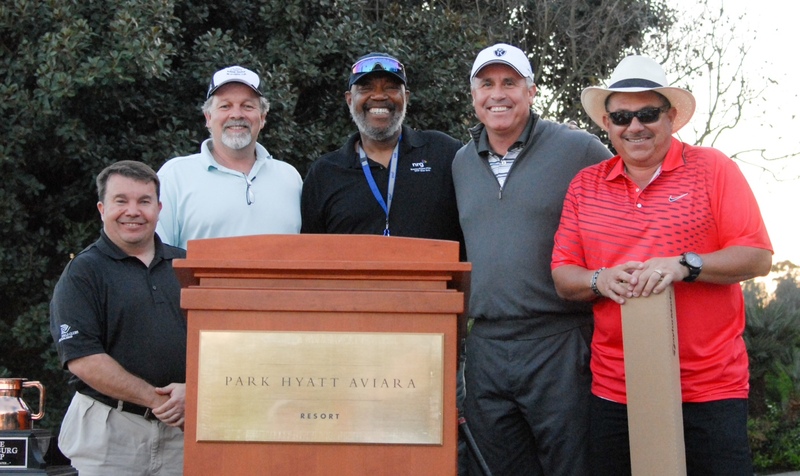 Now in its seventh year, the Kia Classic places an emphasis on family friendly activities such as scavenger hunts and player autograph sessions, and has also designated Hire Heroes USA as the tournament’s first-ever official charity partner. For the official word from KIA and the LPGA, please follow the jump. 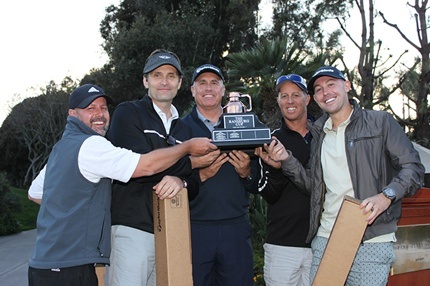 Pictured (L to R): Winning Foursome members Steve Farnsworth, Scott Buoy, Club CEO Brad Holland, Aleco Prevalos, and Rob Gough. The Boys & Girls Clubs of Carlsbad scored big at their 62nd Annual Golf Tournament held April 24, 2014 at the Aviara Golf Club. The Boys & Girls Clubs of Carlsbad is hosting its 61th Annual Golf Tournament at Aviara Golf Club on April 18, 2013. 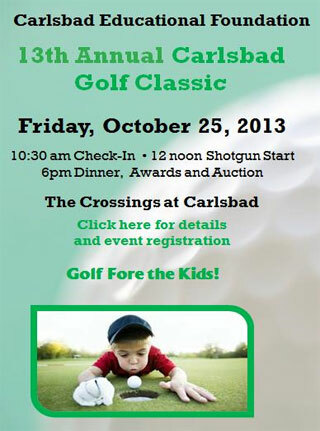 On Friday, October 18, 2012 golfers will take to The Crossings at Carlsbad to whack their balls in the 12th Annual Carlsbad Education Foundation Golf Classic. The action begins at noon with a shotgun start to a day that will include live and silent auctions, dinner and a program to follow. The Carlsbad Education Foundation hopes to double the funds raised this year and is aiming for $1 million dollars–all of going to support science, music, and innovation in all Carlsbad Schools. For more information click the link. Carlsbadistan’s golf industry giant Callaway is reportedly selling their Top Flight brand (in its entirety) to big box sporting goods retailer Dicks Sporting Goods, according to a story in the U-T San Diego. 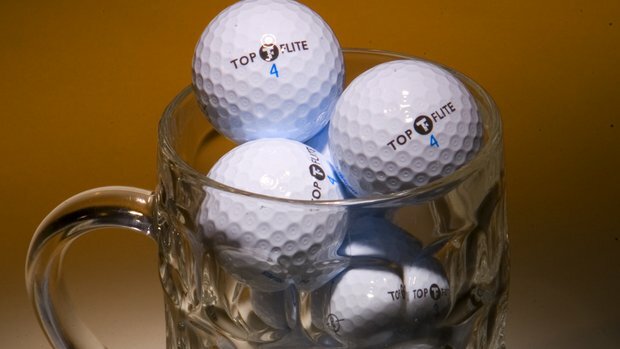 Bud Leedom of Leedom Asset Management San Diego called the purchase “one of the worst moves I have seen in the golf industry. It just lacked so much understanding of how much Top Flite had deteriorated over the years from lack of investment.” . . 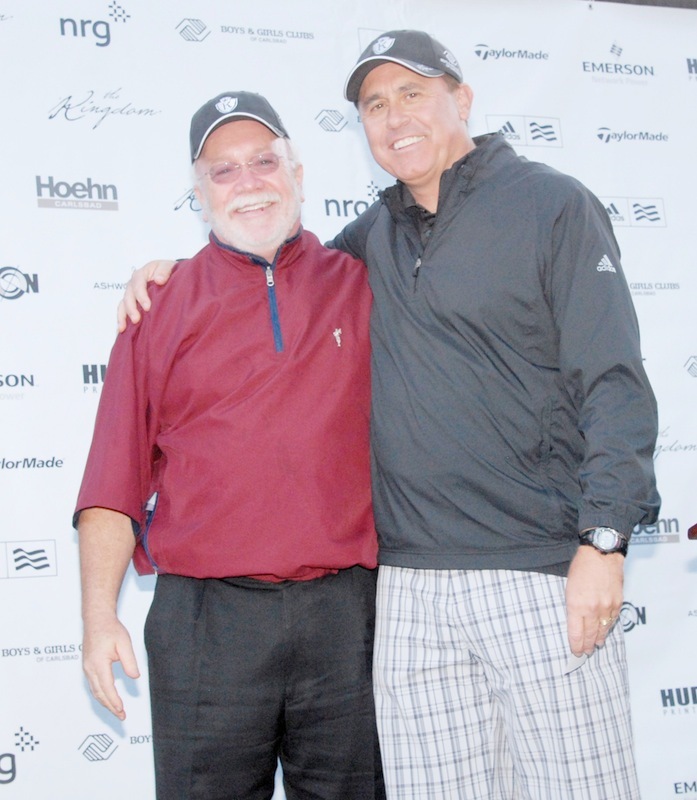 The sale is a sign that new Callaway Chief Executive Chip Brewer, who was hired from Adams Golf, is steering Callaway back to its roots in premium golf equipment, said Leedom. And as we all know “getting back to our roots” is corporate America’s way of saying, “we got way over extended, screwed up and now we’re struggling to put the pieces back together.” Wonder what Callaway Creative Director Justin Timberlake has to say about this move? 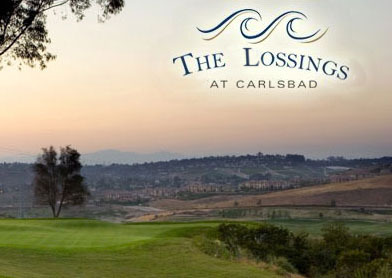 Mark Twain once called the game of golf “a good walk spoiled.” Something similar could be said of Carlsbad’s $68 million public golf course–a splendid setting for weddings, dining and golf, spoiled by tilting fairways, undersized greens, and lost balls. A struggling economy, the many affordable courses nearby, and its playability have been blamed for the course’s annual deficits. Hopes for a financial turnaround are based mostly on the attractiveness of the venue. That was a summary of a consultant’s report for the city of Rockville, Maryland on the financial condition of its Redgate Municipal Golf Course. The recommendations? Modify greens and bunkers, build additional facilities for player convenience, and launch a more aggressive marketing campaign.